The industry of video games is one of the fastest growing sectors in the worldwide economy. One of the key factors to increase engagement and player retention, was the use of various common game concepts such as leaderboards and achievements. 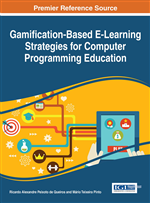 The massive use of this approach and the impressive growth of players led to the concept of gamification as a service, later materialized in Game Backend as a Service (GBaaS). Instead of replicating the implementation of the game features in each version of the game for several platforms, GBaaS adhere to a service oriented architecture providing cross-platform game services that lets you easily integrate popular gaming features such as achievements, leaderboards, remote storage and real-time multiplayer in games. This chapter surveys several GBaaS based on the features they offer and on their openness for the integration with computer programming environments. Leaderboards: Databases that keep scores. They allow users to post their scores in a game and compare themselves with other players’ scores. They measure the success of a player in a game. Achievements: Goals/challenges set in a game that players managed to accomplish. Achievements give players a motivation to keep playing, to earn as many as possible, and a way compare themselves with other players. The fulfilment of a goal may enhance the status of the player or unlock access to other levels, for instance. Multiplayer: A play mode that allows several players to simultaneously cooperate or compete in a game. This feature supports a range of other subfeatures, such as challenges, where players compete each other on either a score challenge or an achievement challenge, and matchmaking games for real-time, turn-based, or self-hosted matches. Saved Games: Allow the remote storage (in the cloud) of game data, for instance, the state and the players progress in the game. Quests: Periodic game challenges that players can complete to earn rewards. This way, developers can launch periodic challenges to their gaming communities. Gifts: Allow players to send/request game resources or items to/from friends (for instance, in their Google+ circles). Matchmaking: Automatically sets up game matches and finds opponents based on parameters set by the game developer. Usually only a specific number of players can be matched at the same time.